I want to embrace the minimalist design ethos. But, I have a really hard time editing, and getting rid of stuff. I also don’t know how to deal with negative space. 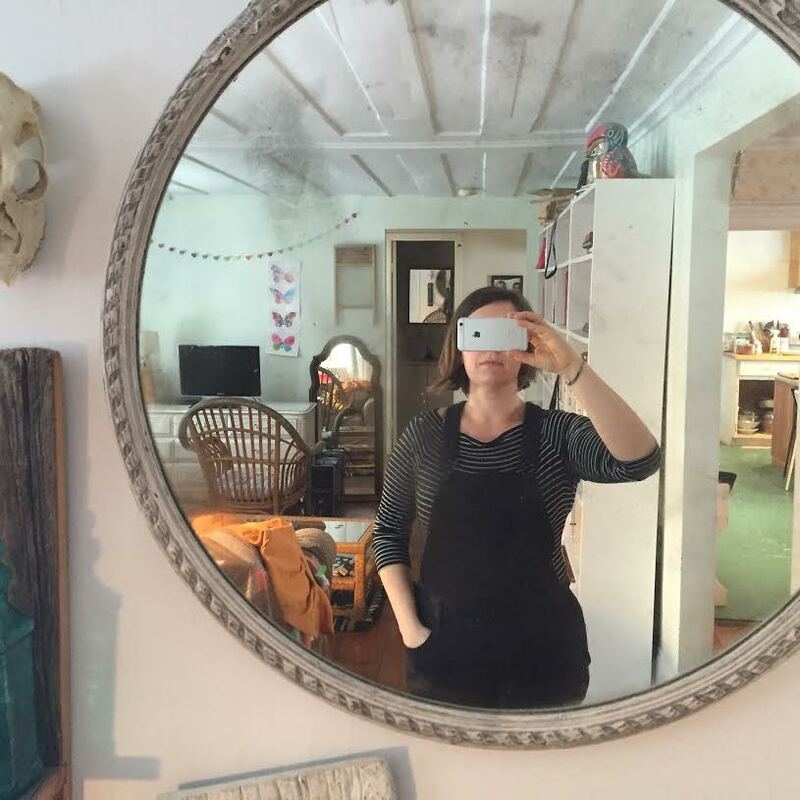 I worry that my home will feel empty instead of cozy. Thoughts? 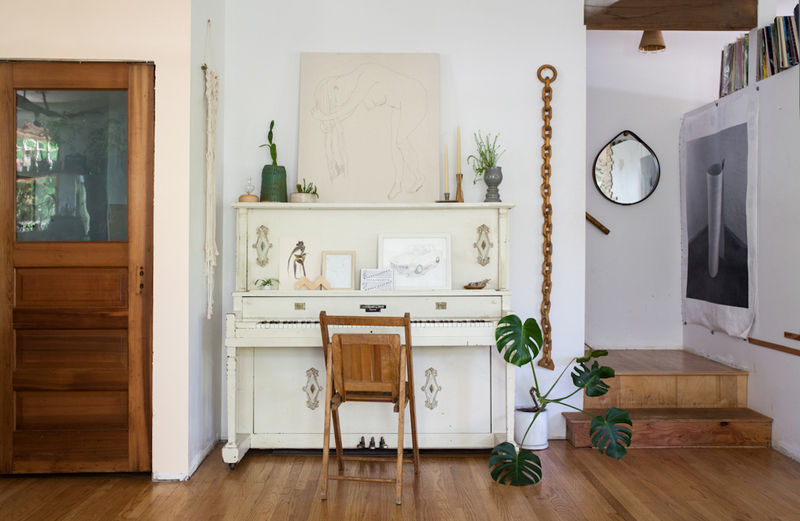 My favorite designer/blogger/artist Emeline Villedary at her “Eclectic Farmhouse” home. Isn’t that a gorgeous space? I love photos like that! But here’s the insider scoop, before the photographer shows up, there’s about 4 hours of styling that goes into EACH ROOM! So know that we designers are a bit cruel when we show these rooms off! NOBODY LIVES LIKE THAT. The End. BUT… I hear you lady!! 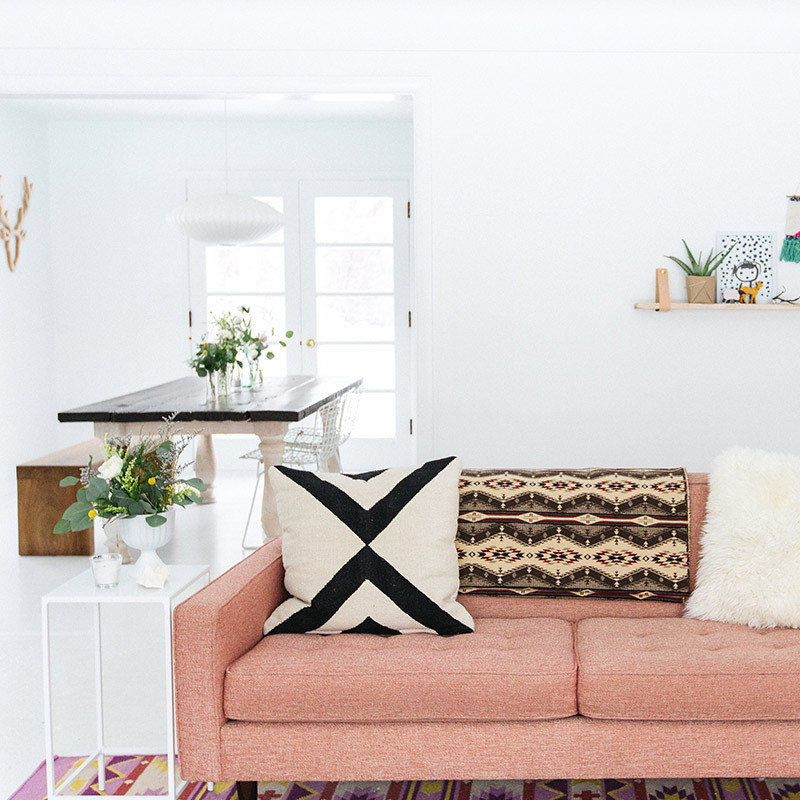 The times are forcing us to find peace and serenity away from the notifications, beeps and boops of connectivity and we’re seeing a huge shift in interiors right now. It’s a trend, indeed, but it’s here to stay, at least for the next while. Mark my words, we’ll be seeing pattern BIG TIME in about 2-3 years. You’ll see, purging the stuff that doesn’t make your heart skip a beat will be cinch. I think the key to getting these spaces spot on, is really thoughtful curation. A white, wide space serves the pieces that fill it, so the first step is going to be to LOOOOOOOOOOOOOVE the pieces you already have. Know that you don’t have to throw out everything and buy all new to get the feeling you want to convey. Trends and Domino Mags aside, imagine yourself in this space and ask yourself if it’s really an accurate reflection of who you are. 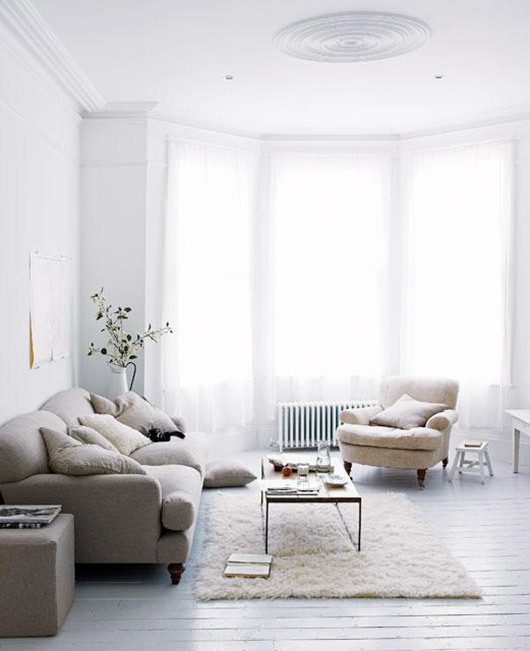 When you have a bad day and want to curl up on the couch and not move, will this space provide you with that comfort? 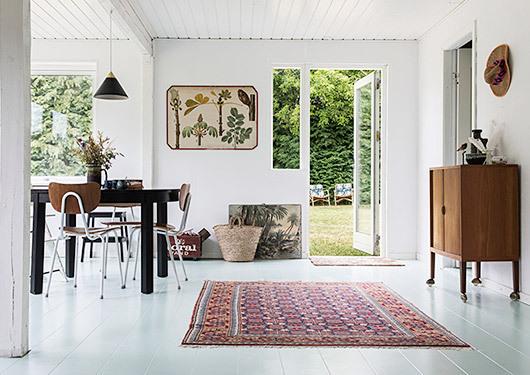 Does it represent the values you want in your home? To feel at home is to be in a space that is an expression of our values at a specific time. And that’s wherever you are. You don’t have to wait for your dream home! 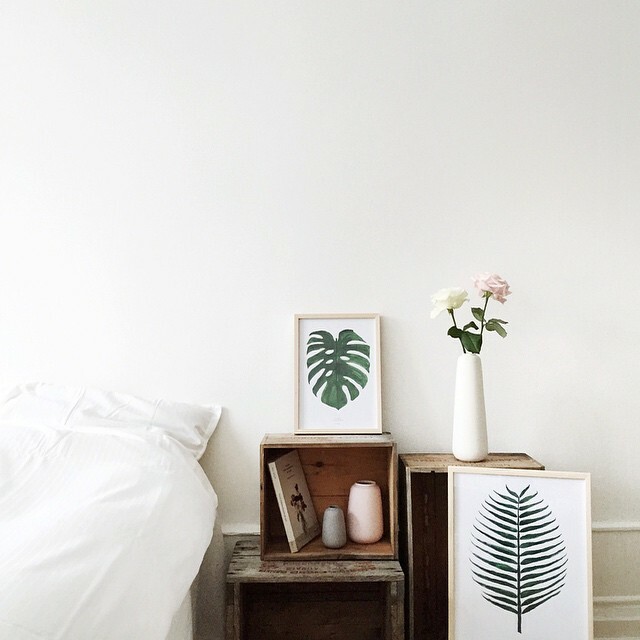 Start where you are and surround yourself with a few objects that are truly beautiful. And know that it’s going to look different for each home, if done right. Ok, having said all that, you might stiff say, HEY, I WANT A WHITE HOUSE. And here is how you can get there. The guiding principle here is that you should only have stuff that makes you happy. That’s the Marie Kondo approach, but it was also the Frank LLoyd Wright approach and you could argue primitive cave approach too. Your home is worthy of only the best, and if that means an old brass turtle jewelry holder that you’ve loved since you were 8, then display that turtle with pride. But the mirrored tissue paper box that you bought by accident and that drives you crazy…. That can go. So start small, maybe with a bookshelf or a mantle and remove everything. Place all the items in a box and don’t dive back in it! Spend a few days in the space and see how it feels. Your eyes can get really tired from jumping from one object to another, so when it’s time to start re-integrating stuff, you should do it with a ruthless critical eye. But hang on, we’re not there yet! Before re-introducing things, it’s important to understand the function and form of the space. Ask yourself, what type of space do I want to create? Try to hone in on the words you use. “Calm & soothing” or “refreshing and lively” mean different things and a space can’t be both. You have to chose… but nobody said this was going to be easy! So, establish what you want the space to feel like and then dive back into your box. Ask yourself these 3 questions with every item: Is this item (in my case) ‘Eclectic Farmhouse’ (Form) and does it have the Function you need, AND do you love it? If it makes the cut on all 3, keep it! Maybe you have lots of things that you think fit the three categories, and then it’ll be the test to chose your favorite. Yup, you are going to have to let go of things in the process. Know that by choosing less, you are actually just doubling down on the things you do have. And by letting go of the items that don’t fulfill all the criteria, you are really just gifting them to someone else, so feel good about having less. Make a bag, a box, donate to a shelter, let go of the past gifts (have faith in your gratitude and say a little extra thanks when you pack them away). I recently helped organize a move of furniture to a single mom of two who was leaving an unsafe domestic situation and let me tell you, it was a pretty moving experience. I bet you didn’t think it was going to be this involved! And remember that negative space is a break for the senses, so it’s a good thing! So now we have achieved the first step: HAVE LESS! Congratulate yourself! Monochromatic, Monotone, Contrasting, Lively. Pick a scheme and stick with it, remove items that don’t fit in within the scheme of this particular area. If you love a particular object, maybe try to organize your scheme around it. Get to know your color wheel and find the triad that works for you. 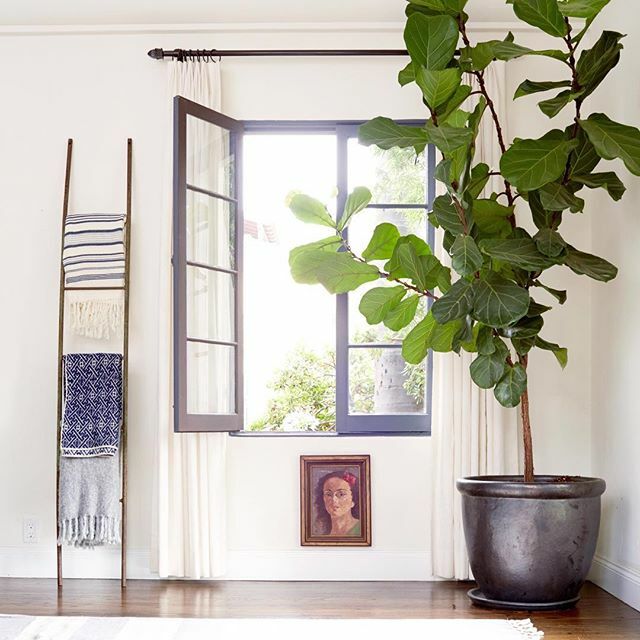 Make sure there’s a variety of these, all rectangles can be boring, but a tall vase, with a small box and a geometric sculpture will make for an interesting composition that will make the eye travel around. Remember to give space around the composition for a little visual break. 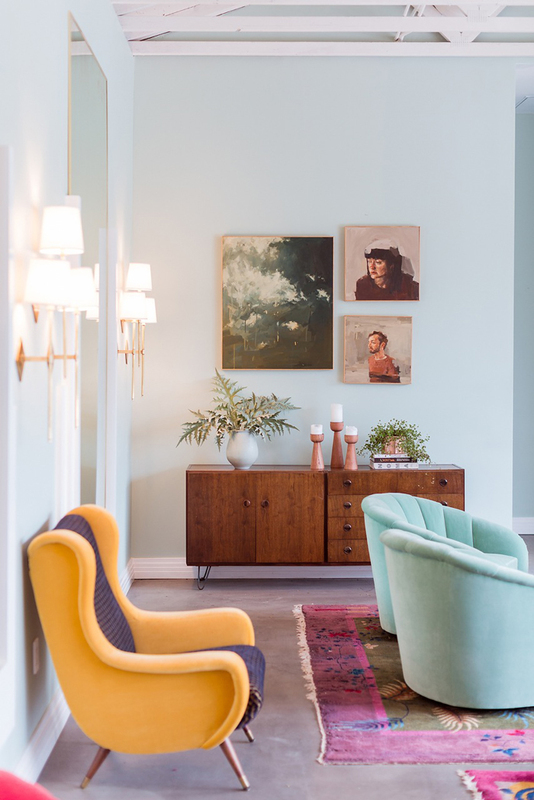 Depending on what you want to create, try to incorporate contrast in size, texture, color or value (light or dark) to make a space more interesting. All white things that are different sizes have an interesting contrast, yet work together because they have a constant theme. Mirrors reflect light, but make sure they reflect a nice sight line! 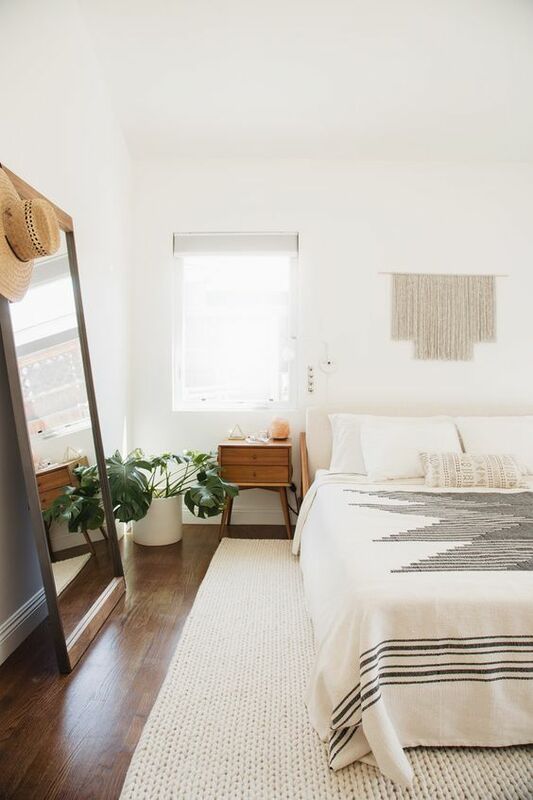 When in doubt: plants, mirrors and a rug will do the trick! Oh and don’t forget the curtains! 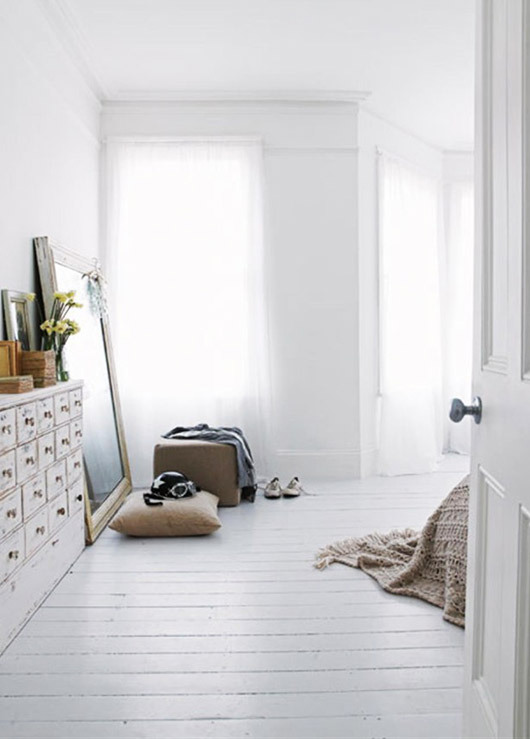 If you’re lost, try to make a mood board (it’s a fun exercise in itself) and print photos from the internet of tear sheets from magazines, and start collecting the styles of rooms that you think reflect your values and work from that. Take your time finding the pieces and don’t be afraid of living with an empty mantle for a little bit! And if you’re still having a hard time, you can consult a pro and have them help you. You’d be surprised how a one or two time consult can help you along the way. It’s SO EASY to get overwhelmed with Pinterest, so my advice, is work with what you’ve got first and figure out what you want your space to feel like. Then if you’re actually missing something, make a list and be intentional with your Pinteresting! Remember…. don’t buy anything that won’t have a purpose, or a specific home. Refer back to your concept board, or mood board when tempted with choice. If you bring something into your space, make sure to remove one as well. We sometimes forget this and find ourselves after Christmas with a ton of junk! Assess the type of space you want to create, take stock of what you have, make a list of what you need and buy with intention. OOOOOOOH, a lamp! I love it! I’m sure I can figure out where to put it when I get home, AND it’s on sale… dude, no brainer. Lots of small things excite the eye, rather than calm it. So if you want to add visual punch, it’s best to do it with a bigger piece rather than with many smaller ones. It also creates more interesting negative space (meaning the space around the stuff). And not in the cool haircuts way. 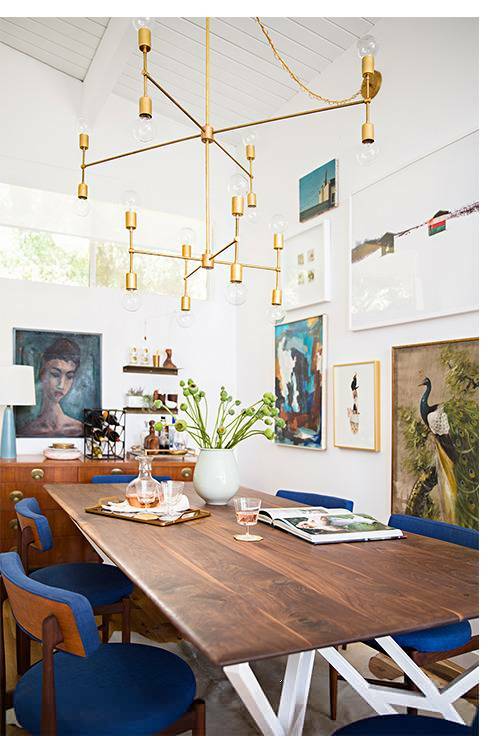 Asymmetrical balance is always more inspiring, and if you’re going with a bare bones aesthetic, this will help you out. Think about offsetting a large mirror to the side of your mantle, instead of right in the middle. Balance it with a smaller vignette of 3 objects on the other side. 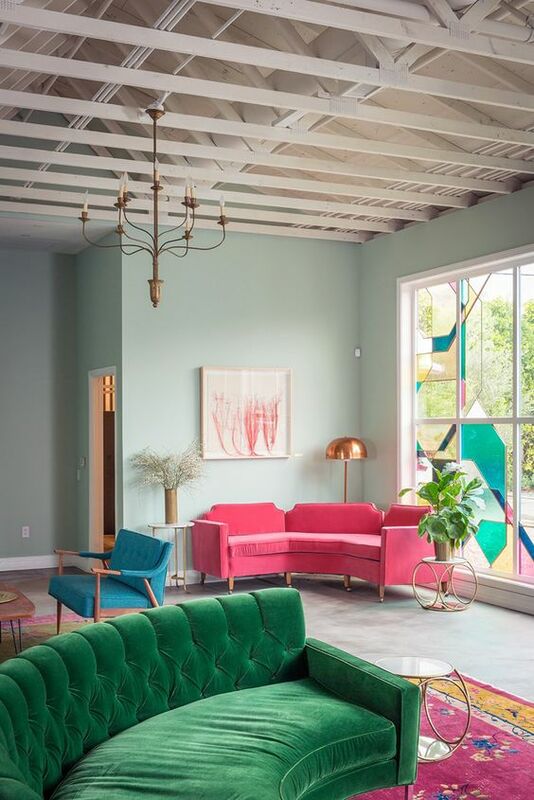 The Fig House: while the bold colors are enormous pops, the rest of the space acts as a neutral background and lets the furniture tell the story. 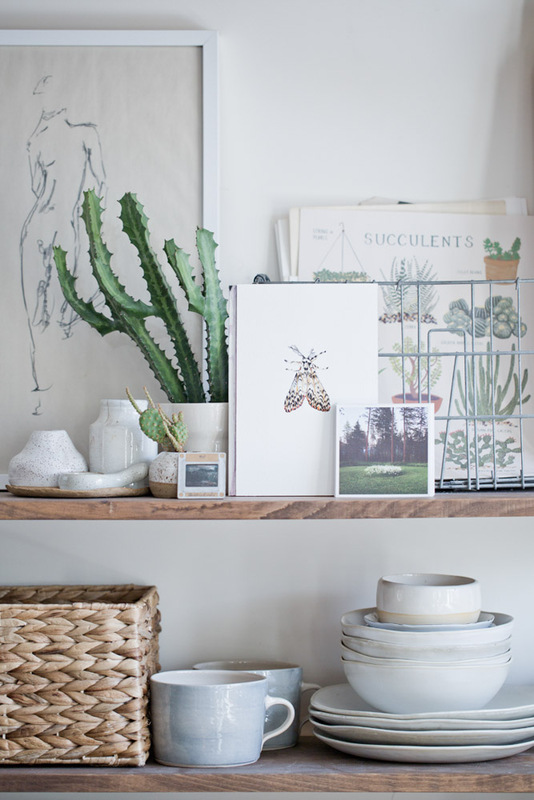 Curating your home is really just an exercise in asking yourself what has value to you. You’ll be surprised by the answer sometimes, and it will change from person to person. But sorting through your stuff and creating purposeful vignettes will give you more pleasure in the end. Trust me, you’ll never remember the things that you’ve omitted. Find out more about Emeline here.